Aria Watkins’s life was on the perfect path, or so she thought. She and Sean had big plans for their future together. They were going to go off to college, get married, and have 2.5 kids. But when tragedy strikes, it destroys the heart of Aria and she's afraid she'll never be the same. Heartbroken and confused, Aria starts college a completely different person. She hardly recognizes the broken girl she's become, but she can't seem to find the strength to put back together the pieces either. He's charming, considerate, and he's making it his mission to make her smile. At first, she isn’t impressed with him, but he’s persistent and soon she discovers there’s more to him than just a charming smile. Aria was sure she'd never be able to move on with her life, but there's just something about Holden that makes her want to try. 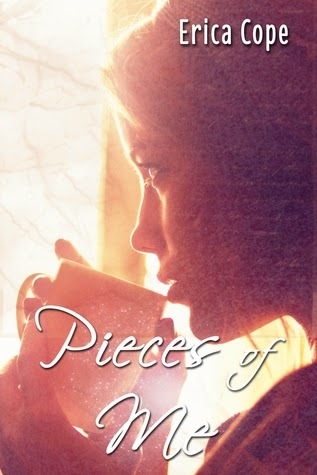 Pieces of Me was a wonderful heart warming story about love, loss and being able to move on. 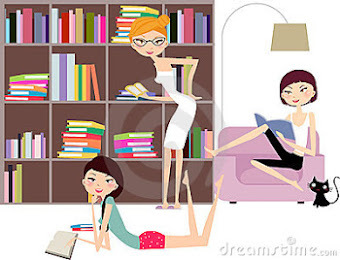 It was one of those books that captures you from the start and you find yourself reading it one sitting. It was a light, quick and very sweet and enjoyable read. Aria had the perfect life and the perfect boyfriend. Until one day it was all gone. She lost the love of her life and wasn't sure how to move on. She has been grieving and carrying around the guilt of his death. She can't face his family whom she loves like her own because she is afraid of them hating her. So she decides to go off to college and try to move on. That's where she meets Holden, the boy who may be the one person who can put back the pieces of her broken heart. Holden was a wonderful hero. He was so sweet, caring, charming and he wanted to know more about Aria. And as much as Aria liked Holden and was drawn to him, there was something holding her back. Her guilt over the loss of her boyfriend. She felt guilty being with someone else, like she was cheating on Sean. She felt that being with Holden meant she would forget him. Holden was very persistent and the one thing he wanted to do was make her smile. He saw the sadness in her and knew that there was a reason behind it. Holden fell in love with Aria and she did everything to fight her feelings for him. But when she finally does give in something happens that causes her to rethink everything. Is she able to put the past behind her and move on or will the guilt over the death of her boyfriend be so much that it stops her from finding happiness? In order to have a future with anyone, she first needs to let go of the past. Pieces of Me was a heart warming read and emotional at times. I loved Holden and loved how sweet he was with Aria. There was a twist in the end that I did not see coming, one that could destroy what Holden and Aria had. Overall this was a really sweet and enjoyable read. I think my only issue was that I wanted more of Holden. Would love to get to know him a little better, but I still loved it. You will fall in love with Holden and see what a wonderful man he is. There was a moment in the book where Aria finally confronts Sean's death in a way and it was heart warming and heart breaking all in one. Holden gave Aria a second chance at love and happiness and all though the thought scared her, she finally realized that she deserved to be happy. Great job by Ms. Cope!